Which Death Parade character are you? Do you often overreact when things go wrong? What is your favorite Tim Burton film? What is your favorite Nintendo video game series? Which of these meats do you prefer? Lighten up dude! You are someone who enjoys the company of others but always seems to bring the mood of the room down. You have great respect for most everyone you meet and have some interesting hobbies. I think you need to calm down... You are someone with a short temper who enjoys watching others suffer. Despite this mean streak, you are also a bit of a nerd who enjoys nice, quiet, alone time. You are only human... This means that you make human mistakes but are also extraordinary. Despite your depression, you make others smile. You love your family and wish the best for them. You are never satisfied... You are an experimental perfectionist who is always looking for something wrong with your current daily motions. You take advantage of others and are very clever. Don't let this behavior end your many great friendships. You might just be a hipster... You enjoy people watching, deep conversations, and getting to know others. You are a big music fan who always wants to share their feelings. Your greatest attribute is your welcoming personality. You might want to lay off the alcohol... Your manic depressive behavior is caused by your hate for your job and is fueled by substance abuse. Despite this, you are a fun person to party with and others enjoy your company. 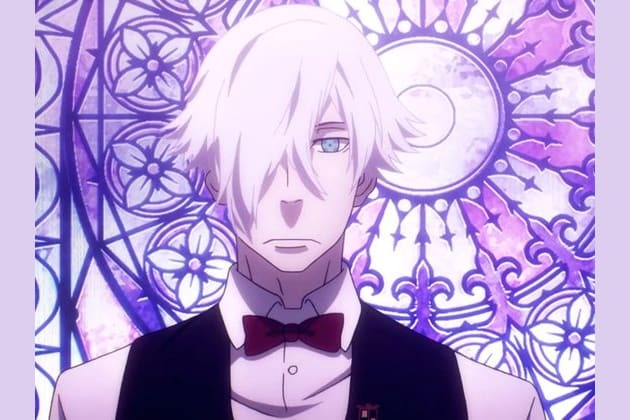 Which Death Parade character are you? Find out if you are Decim, Ginti, Chiyuki, Nona, Clavis, or Quin!